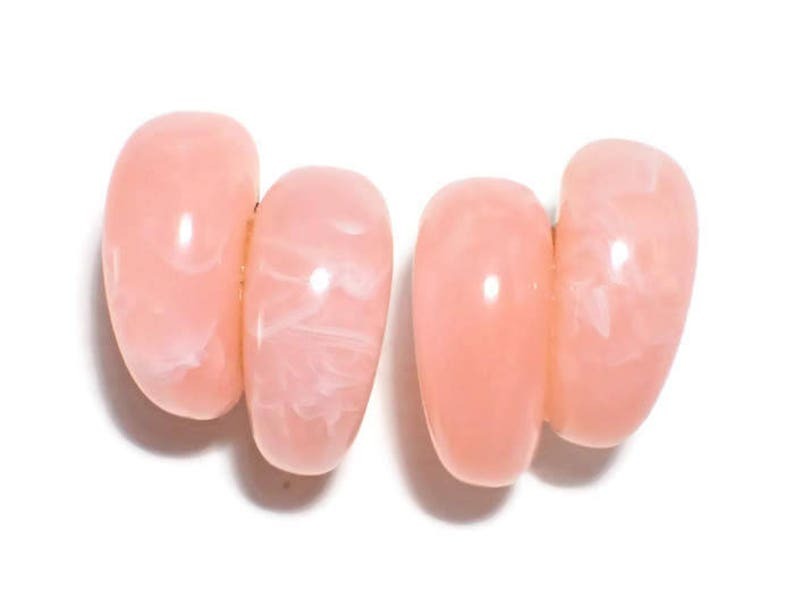 These adorable clip back earrings look like pink swirl jelly beans! The earrings measure 1-1/8" tall with silver tone clip backs. They are in very good condition with no chips or cracks although the backs do show some age and wear. Perfect for Easter!!! Beautiful earrings. Packaged with care. Thank you!